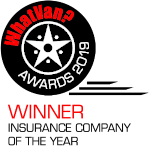 Adrian Flux has been offering van courier insurance for years but we have now added self-employed courier insurance to our extensive list of policies. Aware of the difficulties faced by some self-employed couriers in finding a suitable policy, we've worked hard to put together a comprehensive package for self-employed courier drivers. Free legal cover of £100,000. European Cover available if you travel abroad. Optional breakdown cover to make sure you're protected. Payment plans available to spread the cost into more manageable amounts. No claims discounts of up to 65% available. Insurance for point-to-point or multi-drop couriers offers greater flexibility. No Claims Bonuses can be transferred from previous employers. We can accept proof from employers such as Business Post, Yodel, City Link, Ceva Logistics, FedEx, Parcelforce, DHL, City Sprint, TNT, UPS and UK Mail. Transfer of no-claims bonus entitlement from previous insurance policies available (car or van). Why choose Self-employed Courier Van Insurance from Adrian Flux? 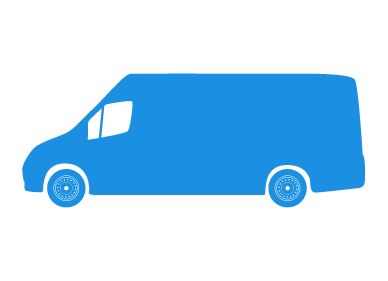 Adrian Flux is established as one of the leading specialist van insurance brokers in the UK. Our highly trained staff know about the types of cover a courier or delivery service will be looking for, and are dedicated to getting you the best deal for your circumstances. Adrian Flux's self-employed courier insurance scheme is available in the UK to couriers over the age of 19, and we can assure courier services that our policies will allow peace of mind that their driver and vehicles are suitably protected, should anything go wrong. Get a great value self-employed courier insurance quote now - call 0800 369 8590 or click the button below to get a quote.